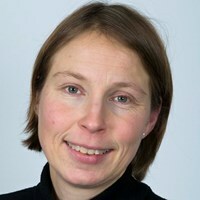 Kristine Stadskleiv is a clinical psychologist, with a specialization in neuropsychology and habilitation. She works at a habilitation unit at Oslo University Hospital, providing cognitive assessments and AAC interventions for children with disabilities. The topic of her PhD, which was completed in 2017, was cognition and communication in children with cerebral palsy. She has taken a particular interest in investigating how to assess cognitive functioning in children with severe speech and language impairments. Her research has focused on cognitive functioning in children with disabilities, AAC, tumor cerebri and cerebral palsy.